Several of us joined with the Crank Addicts Tokyo 4-person team for a quick morning ride on a fairly straightforward Otarumi Loop as they continue their "taper" ahead of RAAM. They passed down Komazawa Dori around 630AM and I hopped on the train, riding the Renovo. 103 kms at over 28kph average. Not bad. Yes, I had a bit of a complex about riding with these guys. What about? Well, they are not slow endurance riders. 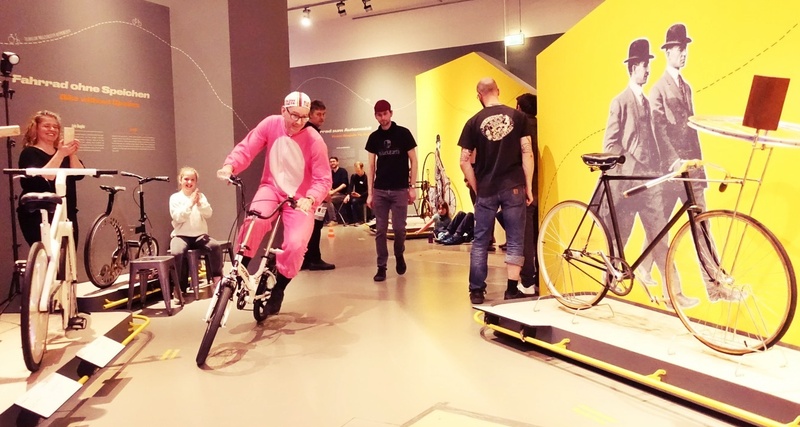 They are all at least ten (and as much as 20) years younger than me, they train with power meters and heart rate monitors, and ride fast bikes. Higher VO2 max, higher power/weight ratios. Jamie rides Lightweight Obermayer wheels (I do not have a set ... but at least I've met Obermayer, at the start of Transalp). Chris was on a Canyon Ultimate SLX (just take my Canyon Shark, an Ultimate SL, and add an extra "X" -- shave some more grams off of the frame and add at least an equivalent number of dollars to the price tag). And they have been training for RAAM, where they will take shifts riding very fast, trying to get across the U.S.A. in around 6.5 days. You get the idea. 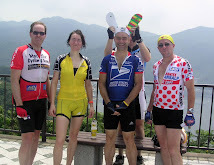 The last time I rode any really long distance with Jamie was back in maybe 2010 on a Kanagawa Audax brevet that required us to climb up Doshi Michi to Yamanaka-ko, then down past Gotemba to Numazu, then do a big fish-hook around Nishi-Izu, Shimoda and end up in Ito. 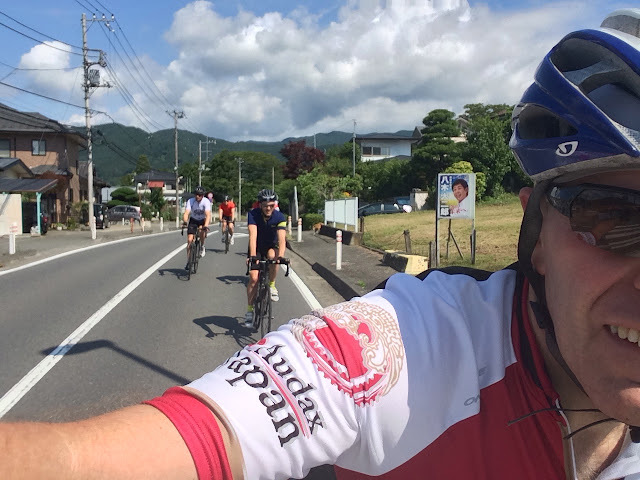 No way I could keep up with Jamie and his friend on Doshi Michi ... though I did finally catch and pass hem after they stopped for a lunch at a Britain-themed pension near Yamanaka-ko, while I pressed on. Speed vs endurance. So I was delighted first of all just to be able to keep up with them today, and second to be able to do some pulls and help them keep the pace up. On the Takao-to-Otarumi climb, I actually paced/pulled the group for the middle third of the climb, and made it to the top within a minute of the leaders, Chris, Jamie and Craig. Based on Strava feeds, not only did I make a "Personal Record" for the 7.6km climb, but Chris did as well just under a minute ahead, and Graham and Jacob, 11 and 40 seconds behind me. Good stuff ... and I did it on the Renovo! 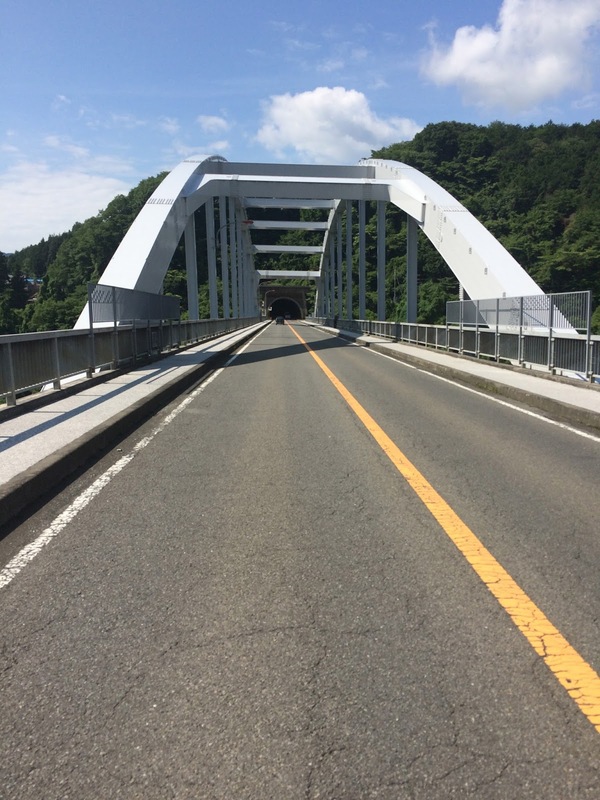 More on the way back, when we managed some of the fastest recorded times on a 4 kilometer stretch of Yaen-Kaido, searing heat as we headed home. Almost at the Tamabidai-mae crossing -- the one in Machida, not Setagaya. Then, disaster nearly struck. Almost back at the Tamagawa, the police almost caused a major accident/incident. How so? Well, just by their presence. We were blazing along and came to a traffic signal just as it turned from yellow to red. Craig (or was it Chris?) was in the lead, and noticed out of the corner of his eye 2 police cars and 2 police motor scooters were waiting at the intersection on the cross street and about to turn onto our street. So instead of the usual "I thought it was still a yellow light" Japanese driver technique, he slammed on his brakes. Chris (or was it Craig?) almost crashed into him, narrowly edging to his side as he also slammed on brakes, rear wheel rising off the ground. I was fortunately just a witness, a few meters back and further out into the street, with enough time to stop. Jamie decided the most "natural" progression to avoid the stopped riders was to swerve a bit and turn left at the light. The rest of us waited politely as the police caravan came past. As our light turned green again, we started up and I jumped into the lead, turned left at the next signal to follow the route I would always take back to the Tamagawa, and expected others to follow. When I looked back a few minutes later ... no one. So I rode to where I rejoined the "main route" and waited. After a minute or two, the police caravan passed -- so I knew that at least the other riders could not have gone ahead of me if they had stayed on the main road. Nothing. It seems they waited longer, thinking I would return. In any event, after a few minutes I went on and finished the ride alone ... and can see from the Strava feeds that they must have been only a few minutes back. The ride back home alone ... in glorious weather. RAAM has nice team/rider tracking on its website, so we will look forward to seeing them cross the U.S.A. starting on June 20.